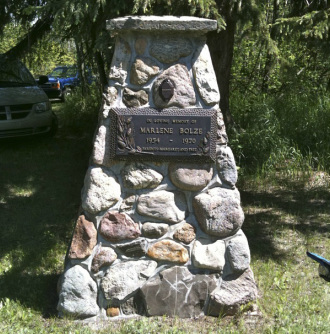 MarLu is a piece of land on the shores of the Red Deer River donated by the Bolze family in memory of their daughter Marlene who died in a traffic accident in 1970. The MarLu association is responsible to maintain the property in a largely undeveloped way so it can be enjoyed by members of the church. It takes about 25 minutes to drive from Mount Calvary to MarLu. and we reach out to make disciples for Christ."